The last few years I have done very well setting goals for myself to keep me motivated throughout the year. For the first time in a long time, New Years came and went without setting any formal resolutions. So what better way to kick of a new blog (again) than setting a few foals for the remaining 10 months of 2014. That’s enough to get me started. 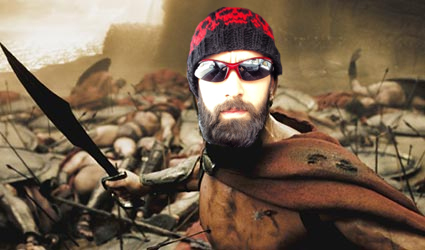 Only being one week out of a minor surgery has made training a bit stagnant at the moment, but hopefully in about two weeks I will start my Spartan training… and prepare for glory.